Preheat the oven to 225 degrees F. Line 2 baking sheets with parchment paper. In a small bowl, mix sugar and cinnamon until well blended. Using a mandolin, slice the apples to 1/8 inch thickness. 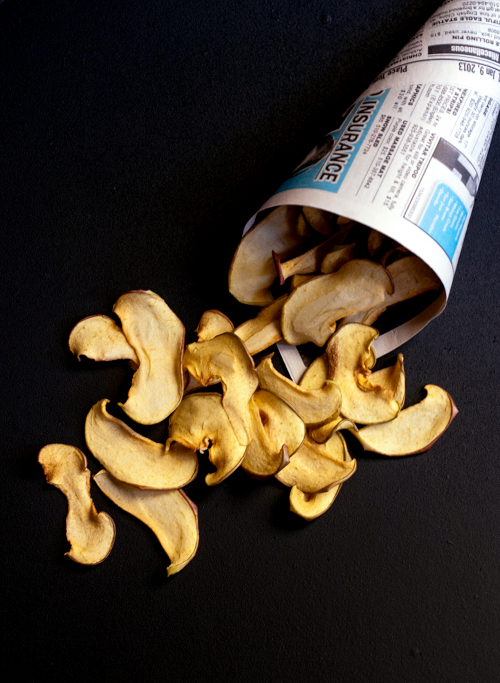 Lay apple sliced side by side on the parchment paper, in a single layer. 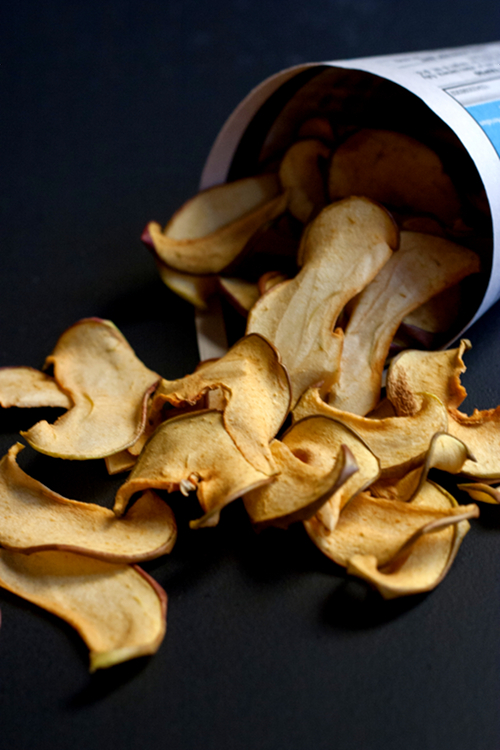 Sprinkle apple slices with cinnamon sugar. Bake in the oven for 1 hour, then take out the baking sheets and flip over the apple slices. Bake for another 1 hour, then turn off the oven. Leave the baking sheets in the oven until the chips cool completely (I like to leave them in the oven overnight). Remove from baking sheet and enjoy. Or store in an airtight container for later consumption. I wish I had this recipe when my kids were little. They sound like a great snack! Nice pictures, the top one in particular. Nice, healthy recipe - I'll bet these have wonderful flavor. Good stuff - thanks.